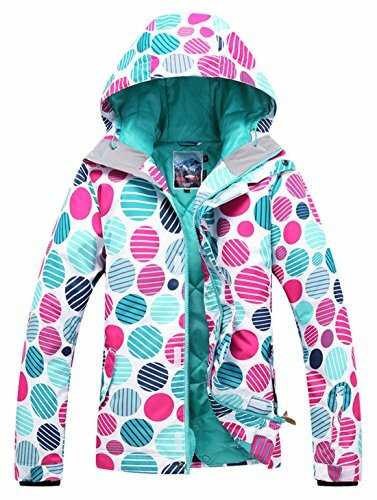 This ski jakcet adopted the High windproof and waterprooftechnology, which has a good waterproof, windproof, breathable, wear-resisting, heat preservation effect, it should be your best choice for winter outdoor activities. XS:Chest 102CM/40.2",Shoulder 42CM/16.5", Length 70CM/27.6", Sleeves 67CM/26.4". S:Chest 108CM/42.5", Shoulder 43CM/16.9", Length 72CM/28.3", Sleeves 69CM/27.2". M:Chest 114CM/44.9", Shoulder 45CM/17.7", Length 74CM/29.1", Sleeves 71CM/28.0". L:Chest 120CM/47.2", Shoulder 46CM/18.1", Length 76CM/29.9", Sleeves 73CM/28.8".